In addition to the classical exploitation as a means for checking process enactment conformance, process models may be precious for making various kinds of predictions about the process enactment itself (e.g., which activities will be carried out next, or which of a set of candidate processes is actually being executed). These predictions may be much more important, but much more hard to be obtained as well, in less common applications of process mining, such as those related to Ambient Intelligence. Also, the prediction performance may provide indirect indications on the correctness and reliability of a process model. This paper proposes a way to make these kinds of predictions using the WoMan framework for workflow management, that has proved to be able to handle complex processes. 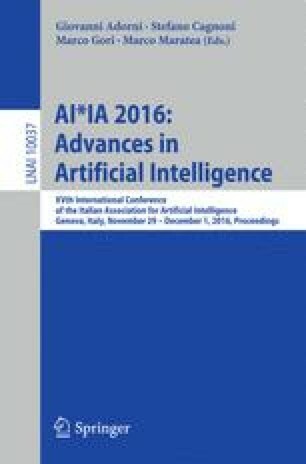 Experimental results on different domains suggest that the prediction ability of WoMan is noteworthy and may be useful to support the users in carrying out their processes. Thanks to Amedeo Cesta and Gabriella Cortellessa for providing the GPItaly dataset, and to Riccardo De Benedictis for translating it into WoMan format. This work was partially funded by the Italian PON 2007-2013 project PON02_00563_3489339 ‘Puglia@Service’.